Talleres Viajar have been offering car servicing, repairs, bodywork and paint for a few years on the island. They are based in Playa Honda and they speak English. 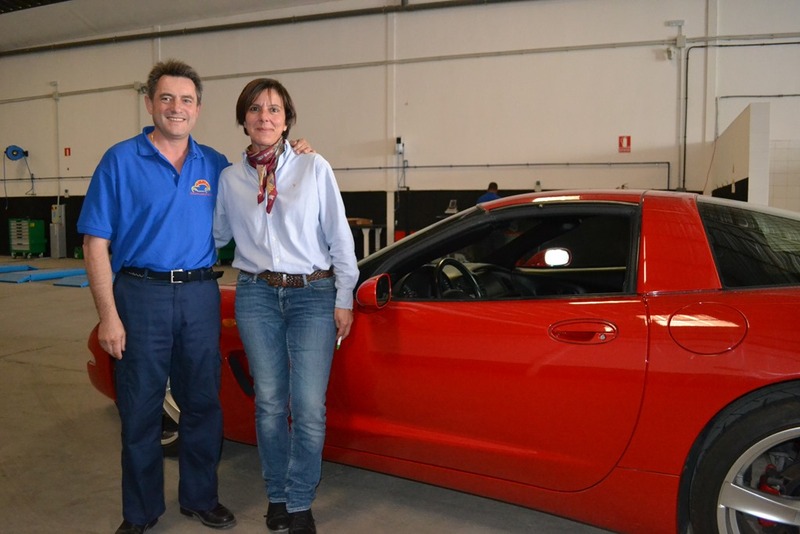 Owners José and Teresa moved to Lanzarote from Madrid, bringing 25 years experience in the industry with them, and setting up a state of the art workshops and paintshop on the island. You can be assured that the team at Viajar understand how important it is to have your car back on the road in tip top condition, they will be doing their utmost to return the car to you, not only working but clean too, as all of their cars are washed before being returned to the customer. Teresa and José understand that the best publicity is “word of mouth” which works well on our island, and is why you can expect first class service from their garage, they want to be known as “The Garage” preferred by clients in Lanzarote and will be asking how new customers heard of them, so be sure to mention us! We definitely got the impression that the “Customer is King” at Viajar and highly recommend that you pop in to see José, Teresa and Domingo the next time your car needs some attention in Lanzarote. You can find their garage by El Cid and Multicar, opposite the Deiland Shopping Centre. Please contact them by telephone on 928 820 394 or email comercial@talleresviajar.es, the garage is open Monday to Friday from 08:00 to 17:00.